It’s difficult for students to understand some chemistry concepts, such as polarity, without being able to see a molecule. This module visually shows students the difference between polar and nonpolar substances. 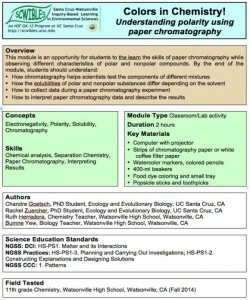 It helps students understand separation chemistry and gives them a background to understanding other chromatography techniques. 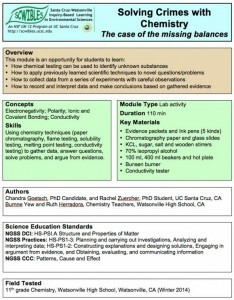 Students learn: 1) How chromatography helps scientists test the components of different mixtures, 2) How solubility of polar and nonpolar substances differ depending on the solvent, and 3) How to collect data during an experiment. The periodic table is designed to reflect the key properties of all of the elements. 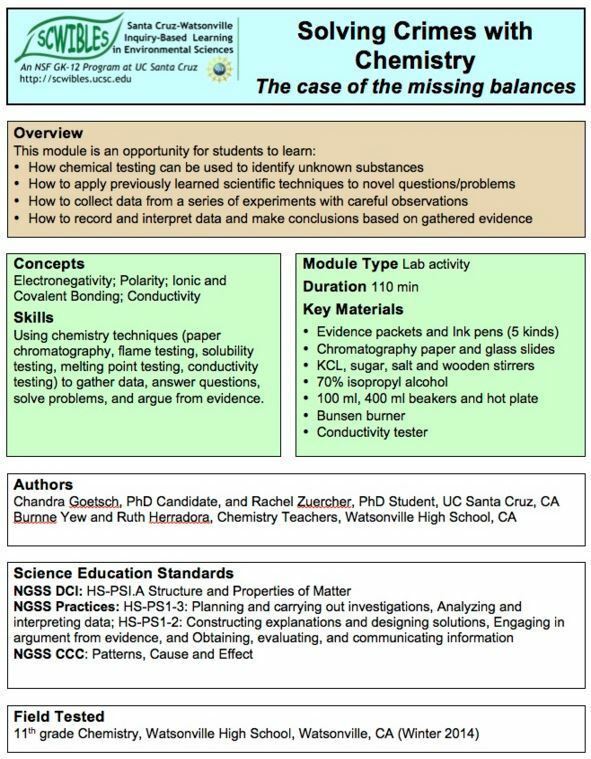 This module gives an overview of the trends we see within each group of the periodic table. 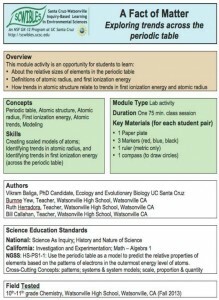 This module addresses NGSS Performance Expectation HS-PS1-1 by having students analyze trends in the periodic table in relation to atomic radius and first ionization energy. Students learn: The relative sizes of elements in the periodic table; The definitions of atomic radius and first ionization energy; and How trends in atomic structure relate to trends in first ionization energy and atomic radius. 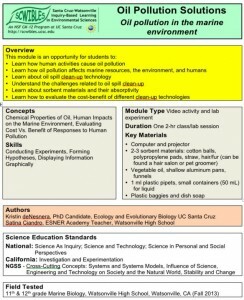 In this “hands-on” module, students learn about: sources of oil pollution in the marine environment; the effects of oil pollution on marine life, human health, and economies; examples of major oil spills; and the challenges involved in responding to and cleaning up an oil spill. 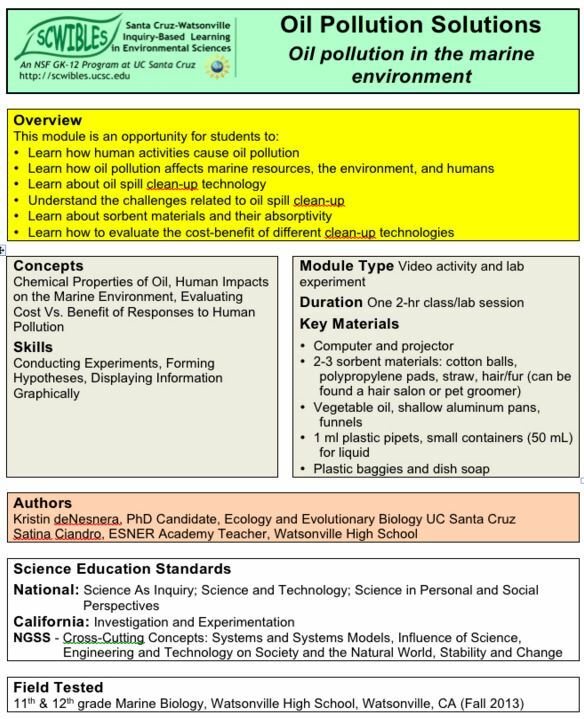 Students learn: 1) How human activities cause oil pollution, 2) How oil pollution affects marine resources, the environment, 3) About various oil spill clean-up technologies and sorbent materials absorptivity, and 4) About the challenges related to oil spill clean-up. 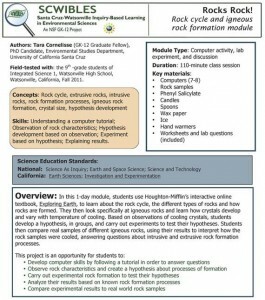 In this 1-day module, students use Houghton-Mifflin’s interactive online textbook, Exploring Earth, to learn about the rock cycle, the different types of rocks and how rocks are formed. They then look specifically at igneous rocks and learn how crystals develop and vary with temperature of cooling. Based on observations of cooling crystals, students develop a hypothesis, in groups, and carry out experiments to test their hypotheses. Students then compare real samples of different igneous rocks, using their results to interpret how the rock samples were cooled, answering questions about intrusive and extrusive rock formation processes. 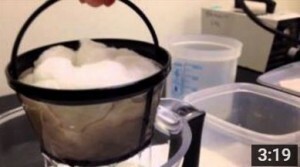 In this lab activity, students learn what turbidity is and how to measure it using a turbidity sensor connected to a data logger. 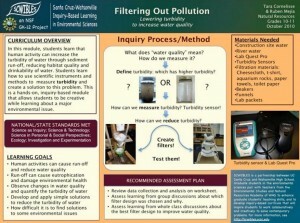 Students then use an array of readily available materials to investigate how to build a water filter that efficiently reduces turbidity.